A new system designed to reduce electricity consumption in the industrial sector has been developed as part of a European Union initiative. The EU-funded EFICONSUMPTION project set out to improve the energy efficiency of industrial buildings based on the monitoring, modelling and smart management of electricity consumption. To do this, it addressed the problem of electrical energy efficiency from the perspective of reducing harmful emissions while also benefiting the business more directly. "Electric energy savings, on the one hand, thanks to a more efficient and effective consumption, in turn determines lower CO2 emissions," said Vicente Rodilla, project coordinator and CEO of CYSNERGY SL. "On the other, savings lead to business activities that are developed with a greater degree of sustainability and higher return." According to the European Commission's CORDIS website, the project partners analysed real industrial data to implement improvements and modifications that reduced electricity consumption by up to 40%. This fed into the development of a smart consumption management system. 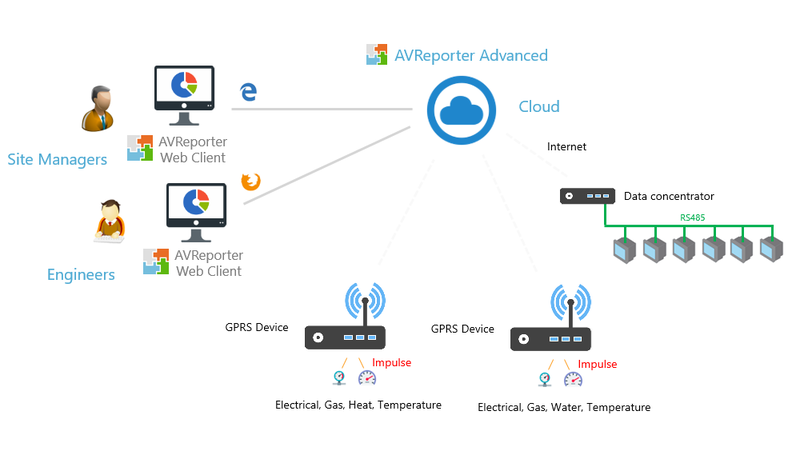 The new solution combines CYSMETER, a device for measuring the main electricity parameters at any point, and CYSCLOUD, a software cloud platform that receives real-time data and establishes efficient consumption patterns to reduce electricity consumption in accordance with the international standard ISO 50001. The system has already been successfully tested at several plants in Spain and in other countries. "Efficient consumption of electrical resources, predictive maintenance and electricity savings are the most relevant benefits of the EFICONSUMPTION technology, particularly for industrial production plants and buildings," Rodilla concluded. "It's a win-win proposition, profiting the EU economy, boosting the competitiveness of European industry and positively impacting the environment." If you wish to learn about energy management software solution, visit our sister page, by clicking HERE. Many manufacturers still lack visibility of the energy performance of devices and equipment running in their plants. This is a critical first step and must involve everyone from the top executives to the shop technicians. Set out the problem and business need, supported by statistics and data, and involve the whole team in creating a resolution that improves processes and shows sustainable ROI. Employees will lose their motivation if you set a target that's impossible to reach. To improve manufacturing operations and cut costs, companies must set realistic, measurable goals, Centrica Business Solutions says. These goals should be based on real data from systems and devices used within the manufacturing process. Smart sensors on machinery and equipment can help manufacturers to monitor their operations and understand energy consumption at each stage of the manufacturing process. With capabilities such as real-time notifications that alert users to a system fault or potential downtime, manufacturers can make informed decisions about management and consumption. Up-to-date information from smart monitoring also enables system-wide improvements to be made. Aggregated energy data can be used to identify systemic issues relevant to energy-intensive production assets. Optimise maintenance schedules with heavy energy consumption to take advantage of lower energy costs during off-peak hours. Manufacturers can also realise efficiency gains by transitioning from preventative maintenance of equipment to predictive maintenance. This saves costs as equipment is less likely to fail and any issues are identified ahead of time. Engage your employees in the effort to improve operational efficiency and reduce energy consumption by arming them with information about the negative impacts of poor energy efficiency, and the positive effects of their behaviour. There are multiple ways to make your manufacturing operations more energy efficient, but this five-step plan will put you on a path to success! In commercial and industrial buildings, as in the home, monitoring your energy usage is the first step to taking control of your energy bills. Once you know which systems in your facility use the most energy, it makes it much easier to understand where savings could be made, explains lighting consultant Daisy Energy in a recent article. However, there are many things that can be done -- with or without an energy audit -- to reduce the energy consumption of your business. 1. Changing shifts to avoid peak energy costs: If your energy provider offers variable rates, find out when the highest and lowest charges apply and think about adjusting employee shifts and machine operating times to off-peak hours. Similarly, demand side response incentivises a business to reduce consumption or switch to on-site energy generation resources in response to signals when demand on the grid is at its highest. 2. Daylighting: Using skylights and windows to bring natural light into your building can reduce the need for artificial lighting, and the latest energy efficient windows won't cause heating or cooling issues. In existing structures, adding windows to the North-facing wall of your building will provide relatively even light, with little glare and almost no unwanted summer heat gain, Daisy Energy says. 3. Lighting controls and energy-efficient lighting: With energy consumption from lighting ranging from 35-75% of a business's total energy usage, using lighting controls such as dimmers, motion sensors, occupancy sensors, photosensors and timers can have a big impact on costs and extend the life of your lighting. Switching to LED lighting is another sure-fire way to cut energy costs as it uses at least 75% less energy and lasts 25 times longer than incandescent lighting. 4. Building recommissioning: This involves investigating, analysing and optimising the performance of equipment and building systems to ensure they are at optimal operating capacity. According to Industrial Controls, studies show that this process can lead to reductions of 10-15% in annual energy costs. 5. Reduce the load put on the HVAC system: Make sure air vents are clear of obstructions, and properly seal doors, windows and roofs. A programmable thermostat allows you to program automatic adjustments in temperature in different areas at different times, to ensure no air is being circulated in unoccupied areas. Re-directing waste heat from the factory floor to heat water and warm spaces also decreases the load on the HVAC system and increases energy efficiency. 6. Service compressors and motors to keep everything running efficiently. 7. Turn off equipment not in use. 8. Motivate all employees to take responsibility for energy savings: Invite workers to contribute energy saving ideas; recognise those who reduce their consumption; and educate all employees about new energy-saving equipment, sensors and practices. To enquire about an industrial energy management software and view some more case studies, click HERE.